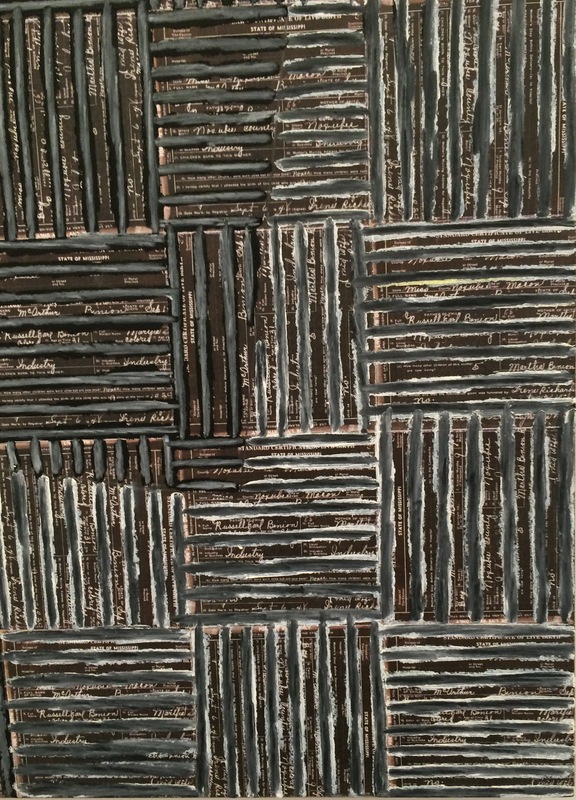 McArthur Binion has an esteemed history working in the realm of abstract art. The exhibition “Re:Mind” at Galerie Lelong features his new work. The artist uses copies of personal documentation, birth certificate, address books, and cuts them down into equal length strips. He mines the textual information from his past. He arranges the strips into vertical and horizontal patterns to create alternating squares within a grid. This becomes the underlying surface over which Binion applies layers of paint stick strokes. In the work “dna: sketch: XI” Binion has included geometric elements beyond the use of vertical and horizontal parallel lines. There is an angled rectangular figure. He has divided the work in half along the vertical center line. 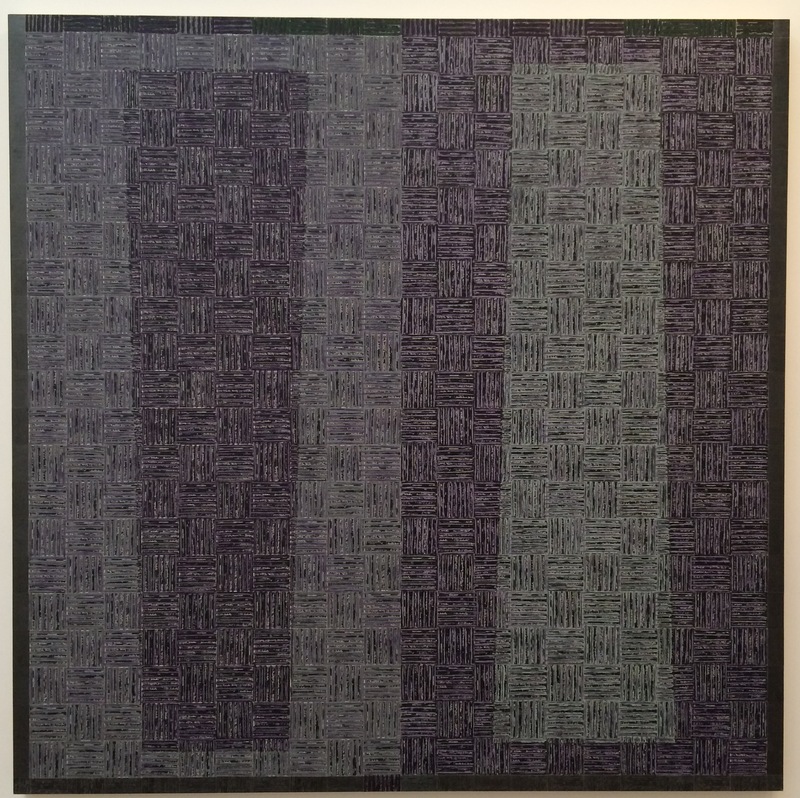 The left half of the painting has a darker toned back ground and the rectangle is lighter. On the right side of the painting this is reversed. This use of light and dark splits the rectangles into two trapezoids giving the work another mathematical element with order 2 rotational symmetry. “DNA: Black: VI” also features two trapezoids rotated 180 degree,s but this time they are each centered on their own side of the canvas, with clearer definitions of fore ground and back ground. 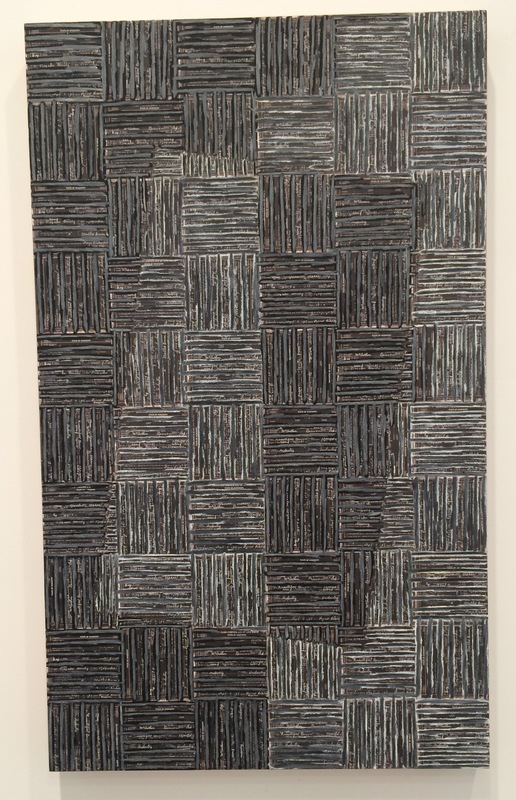 McArthur Binion has taken the tenets of 20th century abstract (especially Minimalist) painting and broadened the theme of his work through the use of an underlying grid of personal history.